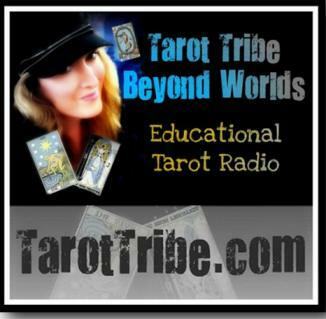 On 7/24/10, Dan Pelletier and Mike Hernandez joined us on Beyond Worlds: Your Tarot Tribe, to share with us techniques in using multiple decks and multiple cards. Below is the accompanying hand-out. The spread graphics were beautifully enhanced by Beyond Worlds' official graphic diva, Catherine Chapman, of www.TarotElements.com. Thank you, Catherine! You can use this State of Being spread to reveal what the Universe considers to be the Querent’s current state of being. The Querent’s state of being is infused into the deck as he or she shuffles the cards and is then revealed as you lay them out in this spread. When I perform this reading, neither ask the Querent any questions nor does he or she provide me with any information t all prior to the reading. 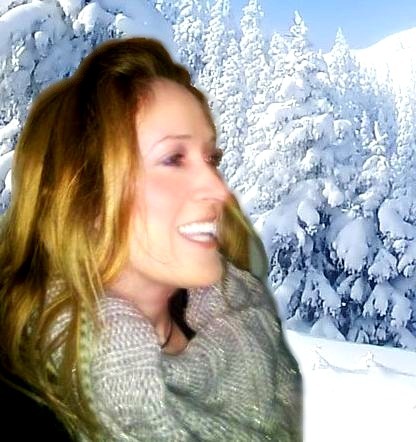 Depending upon your intent at the beginning of the reading session, it can expose the Querent’s internal or external state of being. An Inner reading will reveal concerns with the Querent’s innermost personal thoughts, emotions and feelings. An Outer reading will reveal how the Querent sees and interacts with the outside world and how the outside world is currently affecting the Querent. 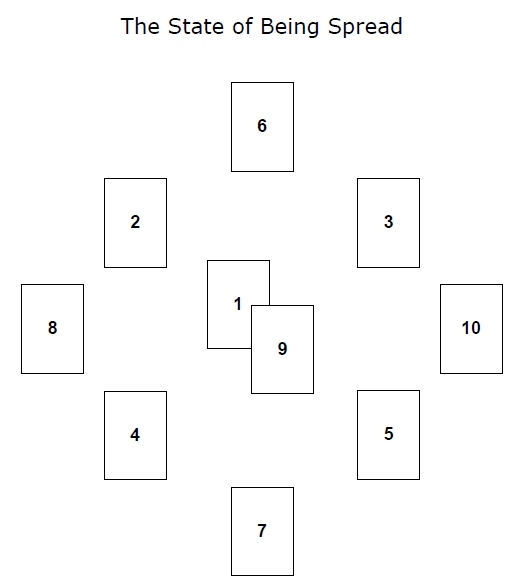 Here are the meanings of the positions within the spread. Note that the meanings are the same regardless of whether you do an external or internal reading. It is the reading’s context (external vs. internal) that affects the interpretation of each position. 1. Issue at hand or Current state of mind. This card represents an issue that is currently affecting the Querent in some form or fashion or his/her current state of mind. 2. Facet of least control. This card indicates the energy or personal aspects over which the Querent has the least control. Given his inability to control this facet, it is in the Querent’s best interests not to focus or worry about this. 3. Facet of most control. This card indicates the energy or personal aspects over which the Querent has the most control. This is where the Querent should focus his attention, as this represents that which is strongest within him at the present time. 4. Influence that is passing. This represents an energy or particular mindset that is passing and releasing its influence over the Querent. 5. Influence that is coming. This represents a powerful energy or particular mindset that is coming to exert its influence over the Querent. 6. How the issue is perceived. This card represents the issue as it is perceived by the Querent at a superficial level. 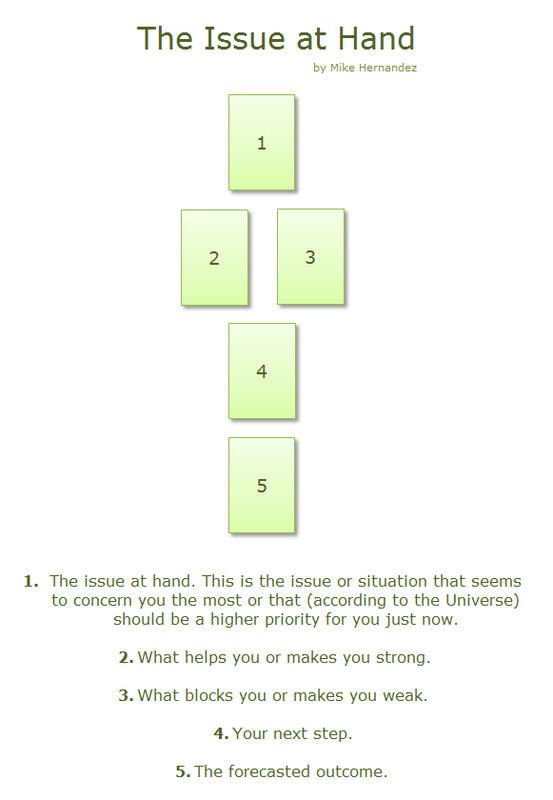 In the case of an external reading, it can represent how others view the issue. 7. The issue’s true nature. This card represents the pure, real nature of the issue as the Querent’s Higher Self and the Universe see it. 8. Immediate past. This card represents an energy, set of personal aspects or a scenario that helped bring the Querent into his current state of being. 9. Immediate future. This card represents an energy, set of personal aspects or a scenario that will soon begin to manifest itself as a result of the Querent becoming aware of his current state of being. 10. Potential outcome. This card represents the potential resolution or outcome of the issue, either of which is a direct result of how the Querent decides to act upon the information revealed by this reading. 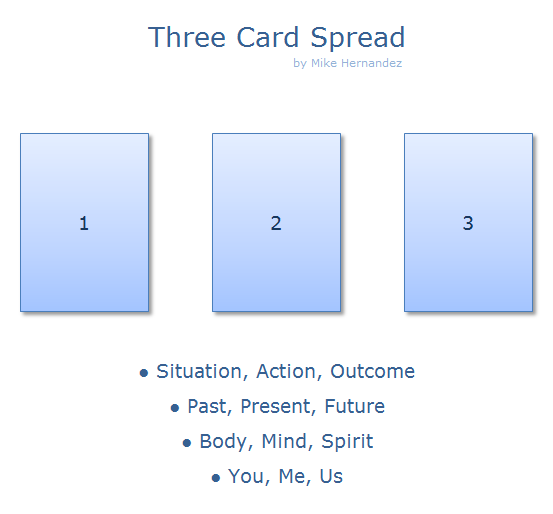 This is arguably my most successful spread and my readings have been consistently quite accurate. My clients have certainly been very impressed and happy with the results.